Pamela K. “Pam” Doane, 63, of Shinglehouse, PA, a former longtime resident of Roulette, passed away in her home on Saturday, September 8, 2018, after a long illness. 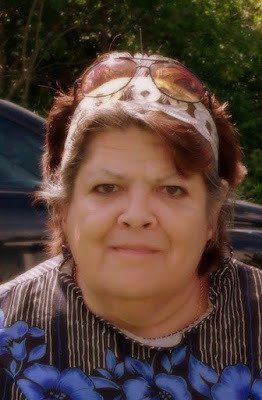 Born on December 15, 1954 in Coudersport, she was a daughter of Lynn E. and Marion Teusher Doane. Pam was a graduate of Port Allegany High School. She had been employed at several jobs, including the former Roulette Drive-In, Emporium Specialties in Austin, and most recently, Potter Pak in Roulette. Pam enjoyed crocheting and watching Disney movies, but her greatest love was her family. Surviving are her mother of Roulette; two sons, Kenneth E. (Melissa) Gamet, III of Coudersport and Kevin M. (Christina) Gamet of Port Allegany; eight grandchildren, Darius C. Eckerd, Daysha L. Eckerd, Sebastian L. Gamet, Ayla M. Gamet, Aaron M. Gamet, Onica M. Gamet, Jersey N. Gamet, and Taysen J. Gamet; a brother, Leslie “Les” Doane of Roulette; and many nieces and nephews. In addition to her father, Pam was predeceased by a brother, Greg Doane; and two sisters, Yvonne Paneda and infant sister, Rhonda. Family and friends are invited to attend a memorial service at 1 p.m. on Saturday, September 15, 2018, at the First Baptist Church, 144 Main Street, Roulette, with the Rev. Martin E. Montgomery, pastor, officiating. Burial will be in Card Creek Cemetery, Roulette. In lieu of flowers, memorials may be made to the Shinglehouse Volunteer Ambulance Association, PO Box 98, Shinglehouse, PA 16748. Pam’s family has entrusted her care to Kevin J. Dusenbury, funeral director/owner of the Virgil L. Howard Funeral Home, Shinglehouse. I just found out of her passing My condolenes to all the Families. SHe was a wonderful lady.